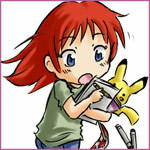 I'm listening to an audio CD set to help me with my Japanese, though I haven't gotten very far. I'm just going to practice in hiragana/katakana. I don't know all the kanji yet. 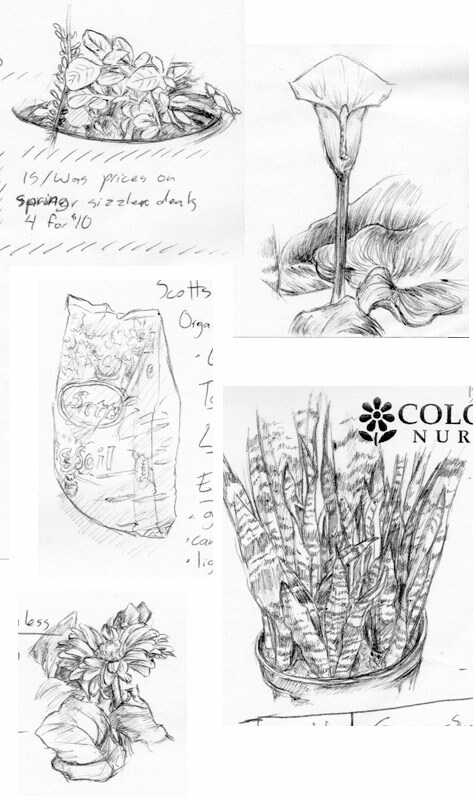 This is a mix of what I've learned from the CD and what I learned from the class I took last year. I apologize if I make any mistakes. Corrections are appreciated. That's the most relevant statements that I can do right now. It's not much. I've covered some greetings, and of course things that seem a little silly to say like 「わたしはにほんじんじゃありません。」. I don't know much, but I like learning. Here are some photos from the Japanese Tea Garden in San Antonio. Yesterday I went to a plant nursery for some training for work. 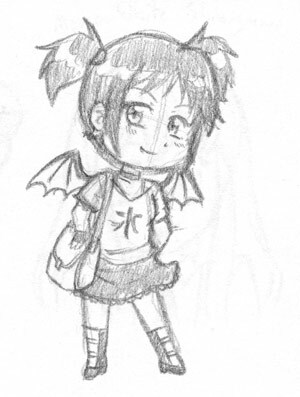 I was really tired though, so I did some sketching to keep myself awake. 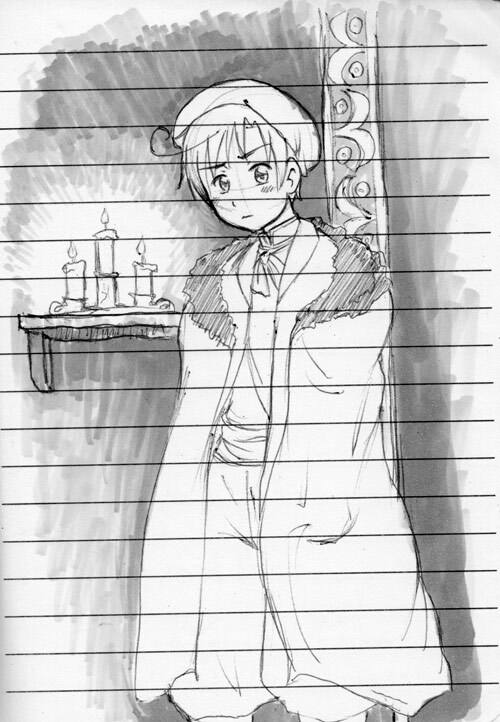 A sketch I did one night of a younger Lovino for a fantasy story I've been toying with. I had considered doing designs for the badge contest for Mizuumicon, but I just don't have the time. 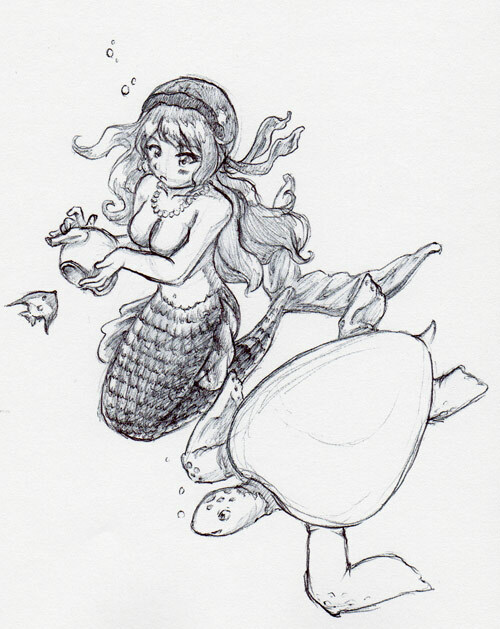 I had done this sketch though. I thought it looked cute. We're planning on attending Mizuumicon, so I'm going to enter the art contest for this year. This is just a preview. Sam's going to help me color it, since I'm pretty busy. 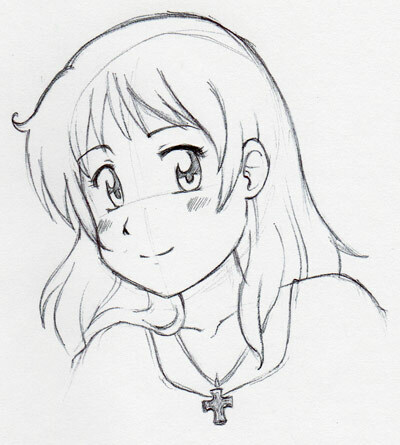 Also I finished a ballpoint pen sketch of Marianna. 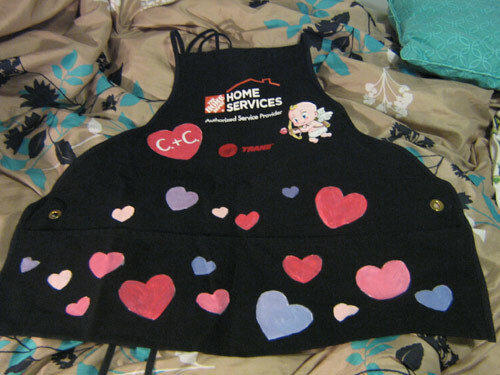 One of my coworkers wanted me to decorate her apron for Valentine's Day. 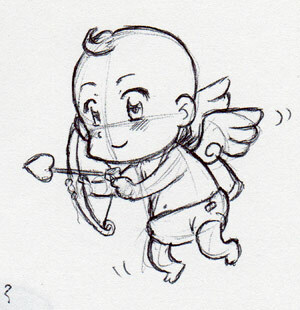 She wanted a cupid, so I did a little sketch. 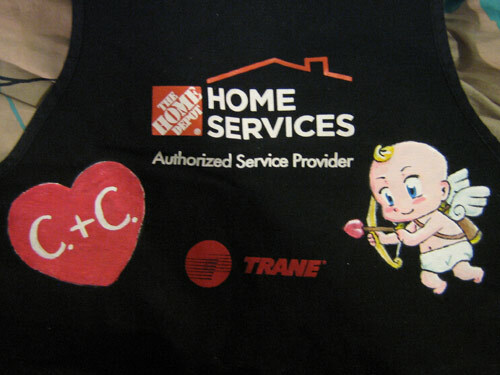 I traced his outline onto the apron and then painted it with acrylic paints. She wanted a bunch of hearts too. The heart has the initials for her name and her boyfriend's name. Here's a sketch I started today. I'd kind of like to finish it up to have as a portfolio piece. I got in a turtle, so I'm happy! Last month we went to see an exhibit about shipwrecks at a museum. I want to see if I can add in some of what I saw.